Maps... they bring me a sense of excitement. Probably because my husband & I love travelling so much. 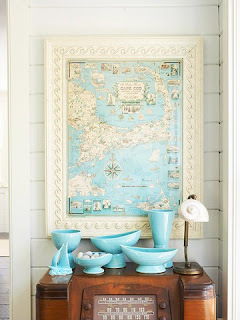 So when I see old maps used in clever ways, it really brings a smile to my face. 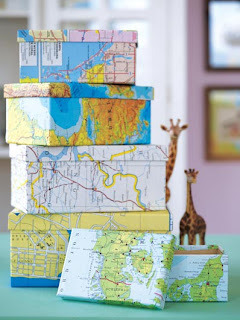 Cover some old shoe boxes in maps & use as a nifty storage solution. 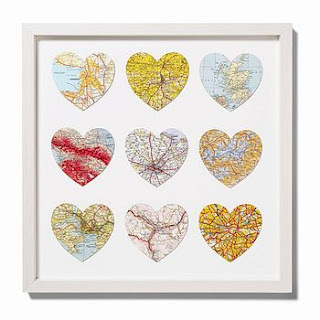 and frame them together as a nice reminder of your travels. 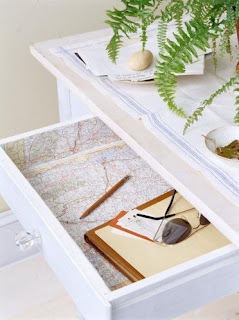 Use a map to brighten up a drab dresser. 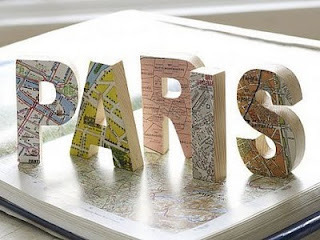 Cover some wooden letters spelling out the place on the map. Cut an old globe in half & use as a bowl. 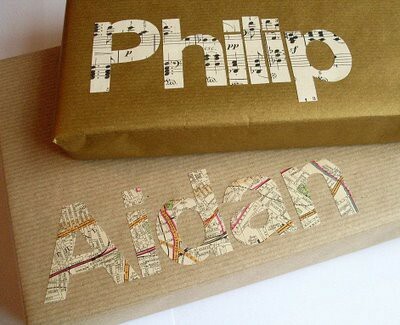 Cut letters out of an old map (or sheet music) to add a nice alternative to a gift tag. 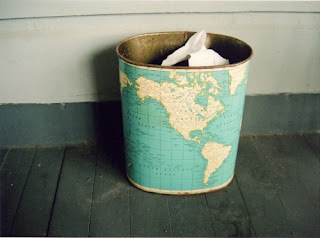 Cover an old trash bin with a map. Add some fun colour to a monogram. Make some pretty pinwheels for your desk. 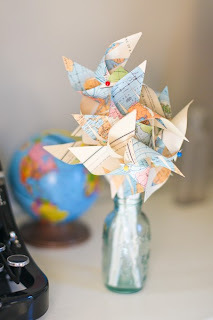 Make light pennants from an old globe. 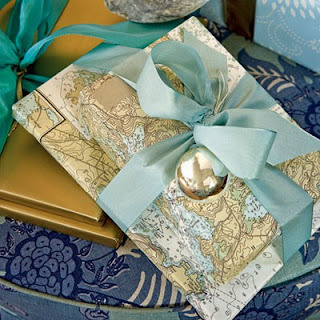 Wrap a gift with a map. Wouldn't it be fun if the gift was a trip or some airline tickets? Or perhaps a travel book? Line a drawer with an old map. 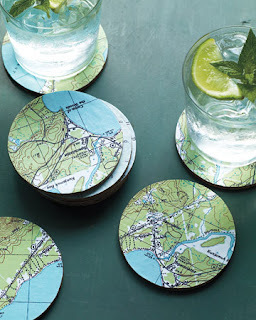 Make a set of coasters. Another great way to remind you of your favourite travels. I've actually been working on my own map-themed project this past week. I hope you come back to check it out next week! Fun! Adding maps add a lot of great color. 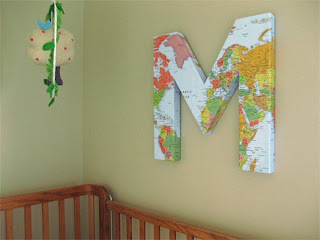 I may have to incorporate some in my boys bedroom. 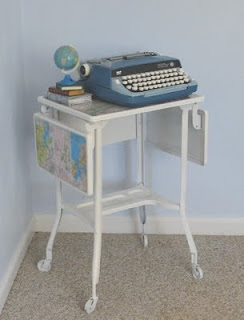 BTW I am loving your blog this is my first visit and I just got to follow! I look forward to seeing more of your projects! Also I noticed you like cooking. I am starting a link up next Thursday called "Nutritious and Delicious" where you share any recipe that have made healthy or that you made a little healthier. I would love it if you would take the challenge! The map pinwheels are my favorite! 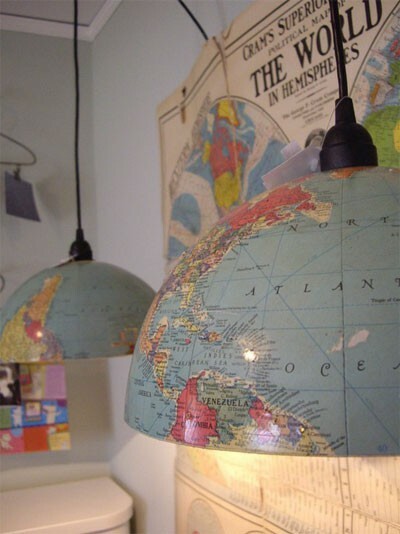 We used a large globe (hard to find) to make a pendant lamp in my boys room. Super cute! 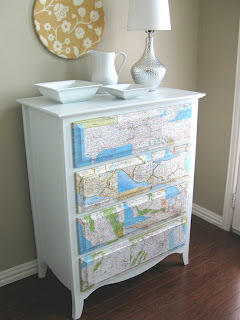 And I decoupaged our kitchen table with old maps a couple of years ago. I get lots of compliments on it. Thanks for these great new ideas. 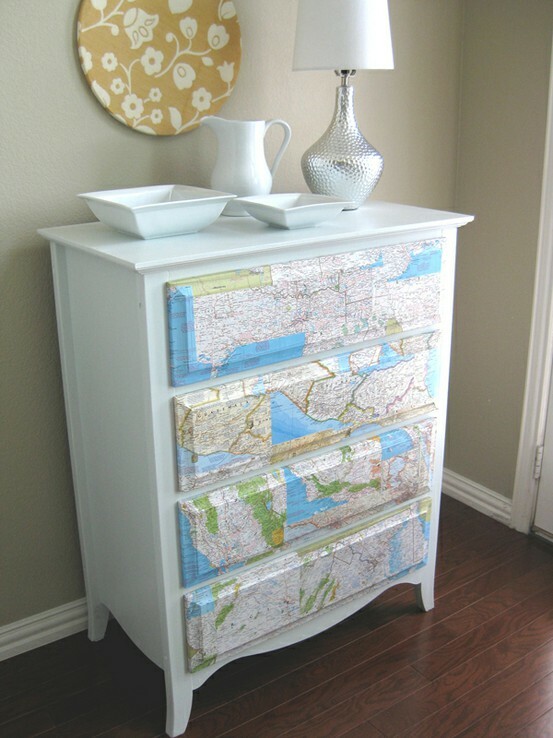 Gonna do a lamp shade and probably frame some old maps hubby loves. Will be following you! 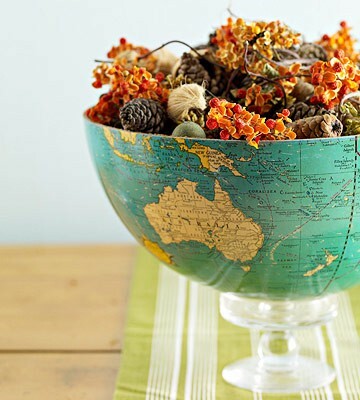 I love all of these ideas!!! Wow. I'm going to try one of these and let you know which one I end of doing! 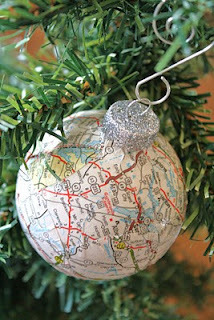 :-) Thanks for posting such a fun idea! good idea.ı will try this tahnks..